Image | This entry was posted in Uncategorized and tagged irises. Bookmark the permalink. I have never seen a white one before – simple and sweet! They grow all around Austin. We call them “cemetery irises.” I love that they’re so tough. 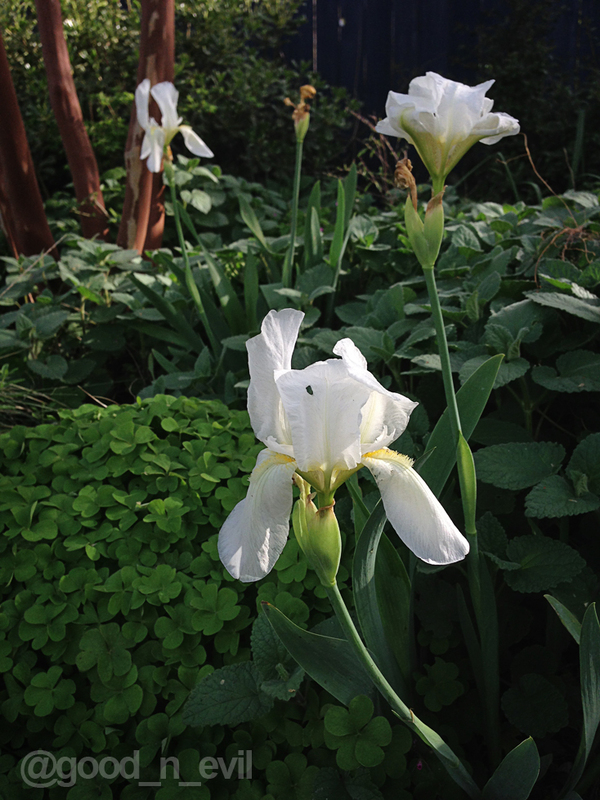 I haven’t had much luck with other irises so far.